In Brief: What is a short-sale? 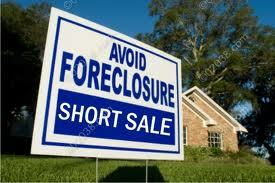 A short-sale is when a property is sold at less than what is owed (i.e. the mortgaged amount is higher than the sales price). The seller will have to get approval from their lender in order to sell the property “short.” One of the largest factors in getting approval will be for the sellers to prove they have/had a hardship. See my post on hardships. Every short-sale I’ve done has been very different. The only constant I’ve seen is a longer time frame to get to closing (even bank-owned are typically quicker). A buyer needs to be informed. I educate extensively about the process. My experiences helping people buy and sell short-sales provide the necessary information to help with decision making. My own experiences purchasing a short-sale in 2011 are helpful. Buying or selling, every case is different and there are no guarantees, but working with a professional who has experience in short-sales is the key. From Everything Real Estate with Jenn, post In Brief: What is a short-sale? This entry was posted in Real Estate Chatter, The Short Sale Chronicles and tagged buying a short sale, for sale in pelham, nh short sales, short sale homes in nh, short sale in nashua, short sale process, short sale versus foreclosure, what is a short sale, windham nh selling short by Jennifer Cote. Bookmark the permalink. 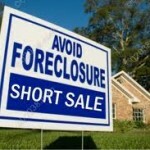 Pingback: How to buy a short sale.